Need some island time…with an edge? 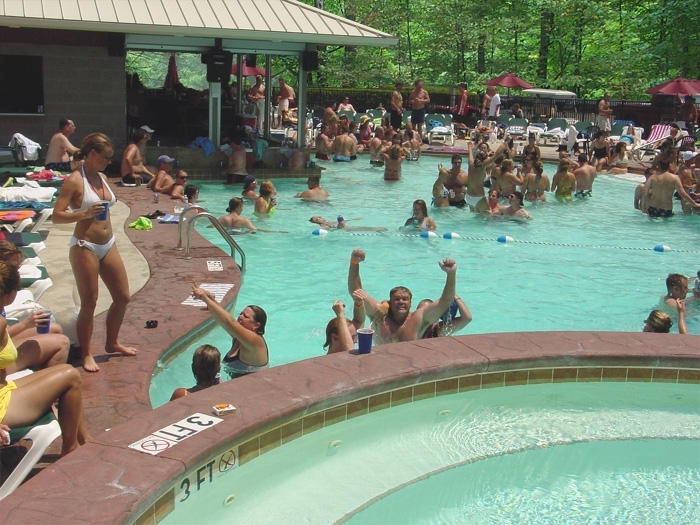 Then let your hair down and drop in on Put-in-Bay, a resort destination on South Bass Island in Lake Erie, 30 minutes east of Toledo. Boat owners can reach the Lake Erie Islands in two hours from Detroit; everyone else can climb aboard the Jet Express Ferry for a 10-minute ride from Port Clinton, Ohio. The Jet Express can also ferry travelers 20 miles east to the Cedar Point Amusement Park. 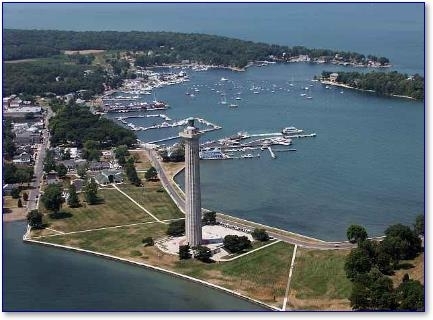 There’s been action and adventure in this western basin of Lake Erie since the deciding battle of the War of 1812 took place one mile off of Put-in-Bay. Commodore Oliver Perry, leading small, outgunned ships, defeated a British Royal Navy fleet. “We have met the enemy, and they are ours,” wrote Perry to his General. Kids will also like the fact that most of the attractions can be managed on foot, though it’s fun to buzz around the island on the four-person golf carts available for rent. A visit and tour of the Heineman Winery, with its’ cave and garden, is a must, especially since its’ young vintage of island wine, including the famed “Pink Catawba,” is very drinkable at about six-dollars per bottle. Seafood dinner with a view on the Upper Deck at The Boardwalk, which overlooks the harbor and other islands, is gorgeous at sunset. The Caribbean? Bermuda? Nope. Put-in-Bay. Put-in-Bay’s resident “Jimmy Buffett” is the legendary Pat Dailey, who sings his salty Great Lakes songs to interactive, raucous crowds at The Boathouse Saloon, right next to the ferry dock, every Saturday night in July, August and part of September.